I’ve written about the basics of a mortgage to provide a starting point for people new to the process. Now that you’re armed with that information, it’s time embrace the mortgage process and get pre-approved so you can buy your dream house (or maybe a condo?). This step requires that you know exactly what you make a month and what all your expenses are. Login to your bank website and download your last years statements into a spreadsheet. If in 2017 your bank doesn’t offer this functionality, change banks. Looking at your credit card payments, bills, taxes, insurance and miscellaneous expenses, it shouldn’t take long to work out a monthly average. Subtract this from your average monthly income and you’ll have a good idea of what you can afford for a monthly mortgage payment. You can also use my mortgage calculator to estimate how much house you can afford. You really need to do some footwork here, speaking with multiple lenders in person, and investigating on the Internet. This isn’t just about finding the best rate. You want to know what other options they offer like a personalized website, what their fees are, what kind of customer service they have, and closing costs to name a few. Who should you use to get a mortgage? Due to the size of the average mortgage, and the interest to be made, competition among lenders is fierce. Take advantage of that. Bank and Credit Unions: They’ve been the traditional option for getting a mortgage. If you have a great relationship with your bank, and they have a good offering, then convenience alone can make them the right choice. Mortgage Brokers: A local brokers are my favorite option because they know more about the process than I ever will. They work for you and make their money from the lender. Brokers meet with you to understand what your particular situation is, then they engage with their network of lenders to find the best fit. Cost based on your satisfaction. Their advisors work on salary so they give the small borrower the same attention as bigger ones. “Interest-only” mortgages where you pay only interest for the first part of loan, then principal in the last part of the term. During the interest-only period, your monthly payment is normally tax-deductible. No origination or lender fees and no prepayment penalties. Not sure which way to go. Talk to friends and family about what they do and what the experience is like. 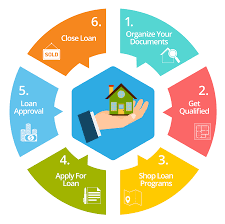 When you’ve completed your research and found a lender you can work with, get pre-approved. With pre-approval you’ll know exactly what amount you have to shop with and you’ll be attractive to a seller compared to other potential buyers who haven’t even started the approval process. Finally when you’ve figured out all the above, get yourself a good real estate agent and start shopping! ← Compound Interest Will Make You Rich!